We are excited to announce our keynote speaker: Dr. Temple Grandin! Bring your books for a book signing following her speech. View her books here. Dr. Grandin is a prominent author and speaker on both autism and animal behavior. Today she is a professor of Animal Science at Colorado State University. She also has a successful career consulting on both livestock handling equipment design and animal welfare. She has been featured on NPR (National Public Radio) and a BBC Special – “The Woman Who Thinks Like a Cow”. She has also appeared on National TV shows such as Larry King Live, 20/20, Sixty Minutes, Fox and Friends, and she has a 2010 TED talk. 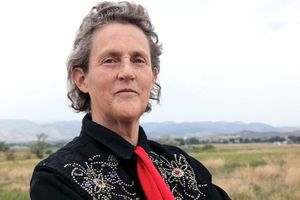 Articles about Dr. Grandin have appeared in Time Magazine, New York Times, Discover Magazine, Forbes and USA Today. HBO made an Emmy Award winning movie about her life and she was inducted into the American Academy of Arts and Sciences in 2016. To learn more, visit www.templegrandin.com.